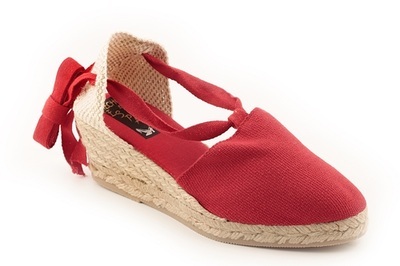 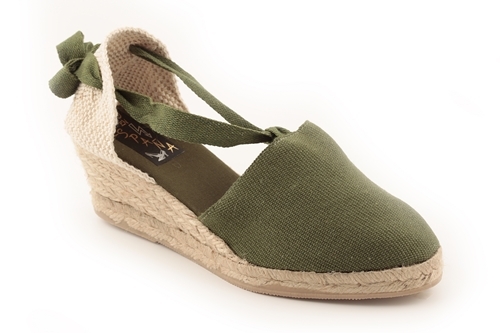 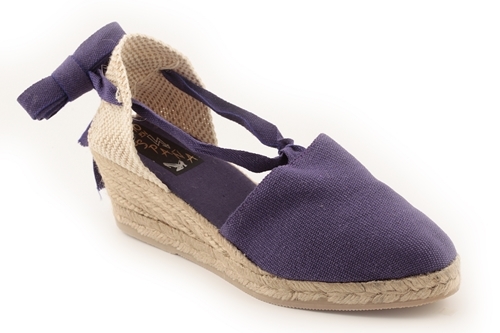 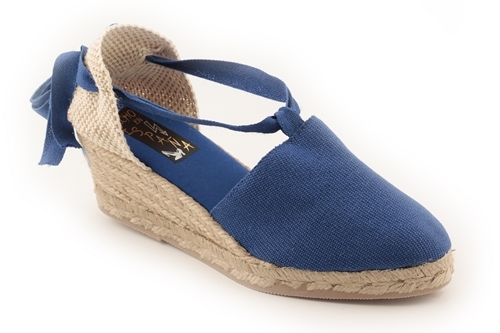 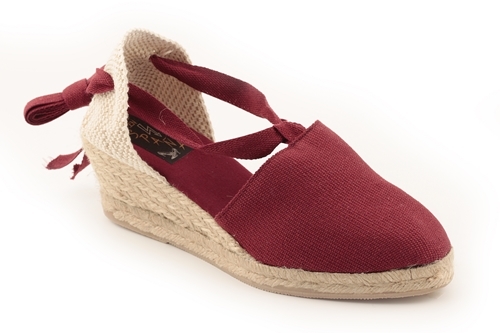 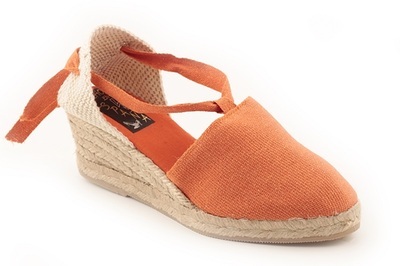 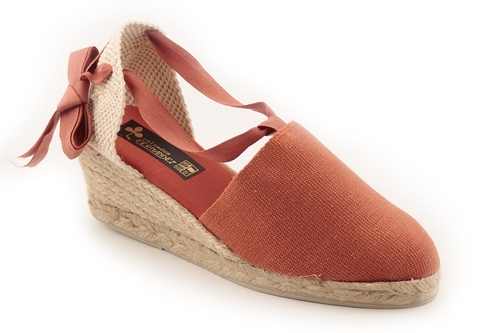 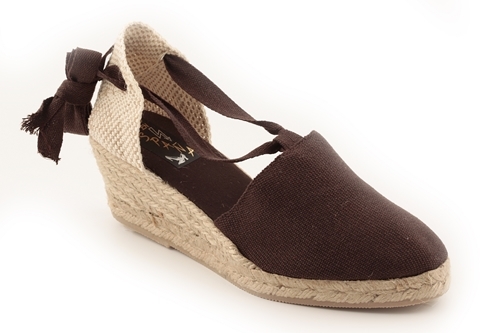 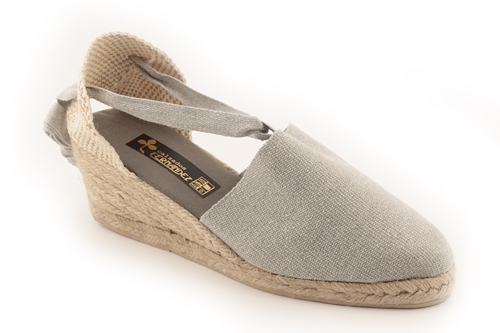 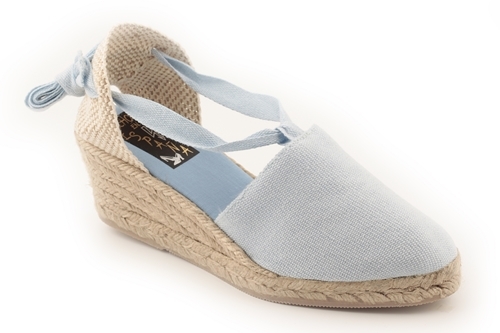 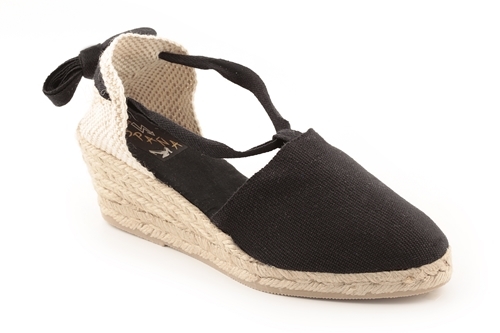 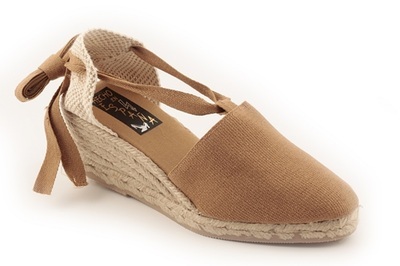 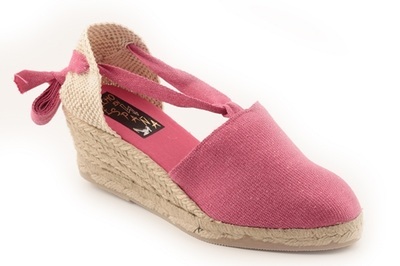 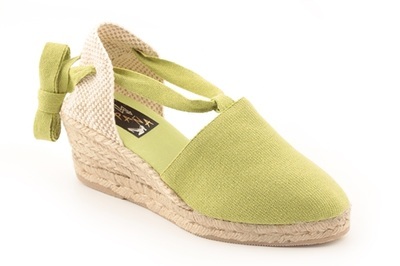 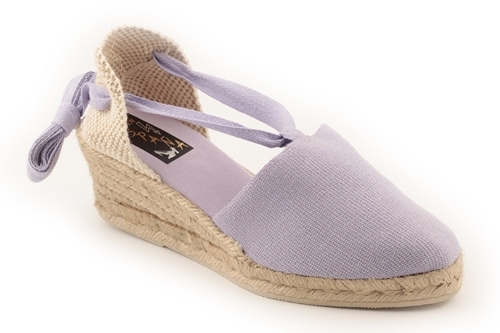 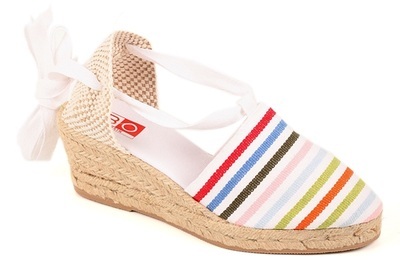 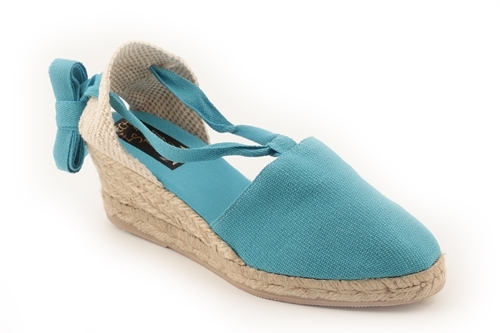 LOBO Mid wedge jute espadrille with ankle cotton laces and sackcloth heel. 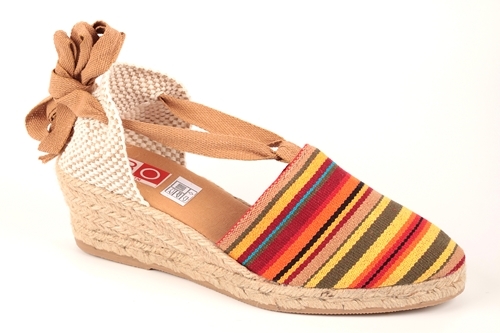 Sewn-lined outer fabric. Entirely handmade in Spain. 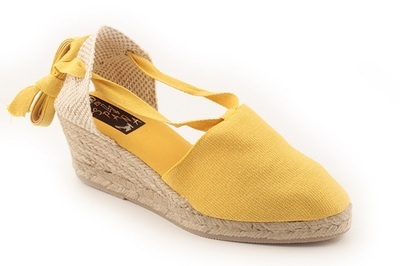 Wedge height: 7 cm (including the sole). Sizes EU32-EU43. 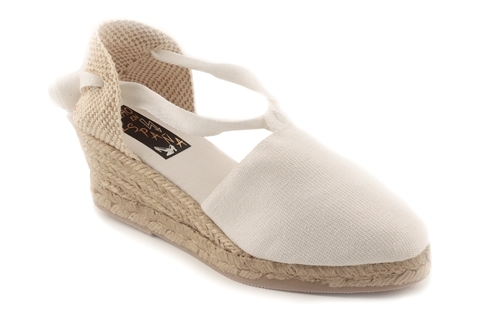 If you need size EU32, EU33; EU34, EU35, EU41, EU42 or EU43, please add to cart one size up or down and indicate at the check out in the "notes to seller" provided. 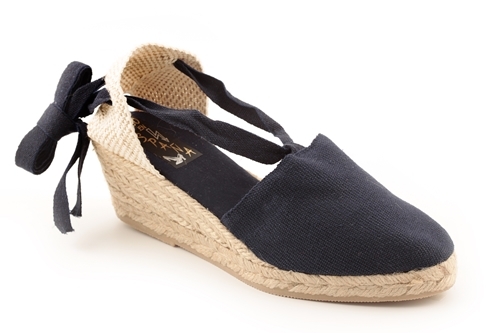 ​This shoe became popular in the 1950’s when it was used by Yves St Laurent to compliment his Parisian styles. 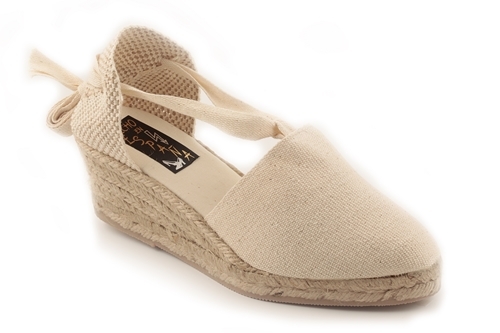 Today, espadrilles are still extremely popular in Spain, especially in the summer. 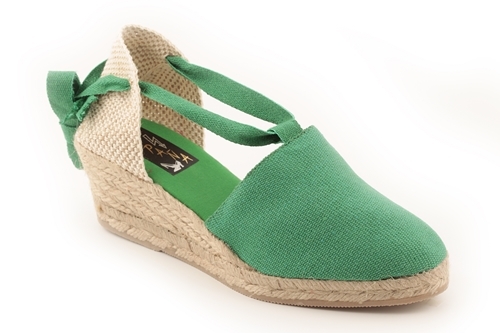 ​This shoe became popular in the 1950’s when it was used by Yves St Laurent to compliment his Parisian styles. Today, espadrilles are still extremely popular in Spain, especially in the summer. 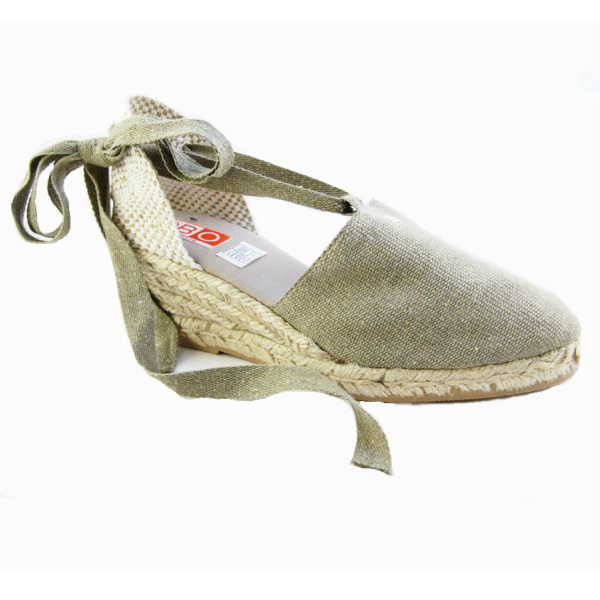 People seemed to like it because of the sole, which is 100% natural, molds itself to the shape of the foot, and allows the skin to breathe. The simplicity of this shoe makes very versatile and therefore easy to match with all sorts of different styles. 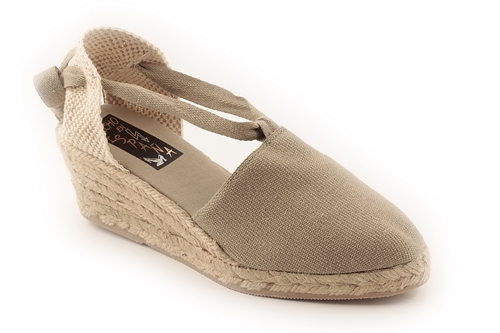 In the mid-Twentieth century, espadrilles lived a stylish renaissance. 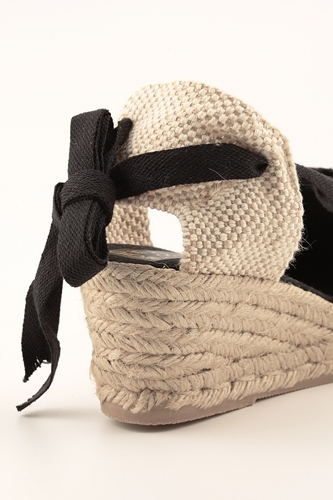 Grace Kelly, John F. Kennedy, Ernest Hemingway, Lauren Bacall and Pablo Picasso were some of their unconditional fans, and helped them turn from peasant footwear to the must-have accessory. 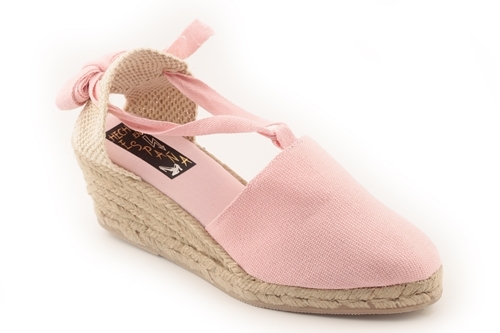 It was also around this time that various manufacturers added wedges to the soles, bringing them into the high-fashion world.